Medical malpractice insurance is a type of errors and omissions (E&O) coverage. It protects physicians and other healthcare professionals against claims alleging their negligent acts caused injury to patients. Medical malpractice insurance is essential for nurses, dentists, opticians, physical therapists, or anyone else who provides healthcare services. It is also called medical professional liability insurance. Most medical malpractice coverages are written on claims-made forms. A claims-made policy covers claims brought against the insured physician (or other professional) during the policy period. Claims brought after the policy has expired aren't covered unless you have purchased tail coverage (explained below). Many policies include a retroactive date. To be covered, claims must arise from acts you committed on or after the retroactive date. Claims arising from acts you committed before that date aren't covered. Some medical malpractices coverages are available on occurrence policies. An occurrence policy covers claims arising from acts committed during the policy period no matter when the claim is filed. Claims made many years after the policy has expired may be covered as long as they result from acts committed while the policy was in effect. Medical malpractice coverage is available from both standard insurers like CNA and AIG and specialty insurers like NORCAL Mutual and MedPro. Other sources include risk retention groups like The Doctors Company and Applied Medico-Legal Solutions (AMS), both of which are owned by their member physicians. Be sure to check an insurer's financial rating before you buy a policy. Here's an overview of the coverages provided by a medical malpractice policy. More detailed information is available from the National Institutes of Health. Insuring Agreement: Like all insurance contracts, malpractice policies contain an insuring agreement that describes the coverage in broad terms. It often begins with the words "we will pay." The coverage afforded by the insuring agreement is refined and narrowed by the policy's exclusions, conditions, and definitions. 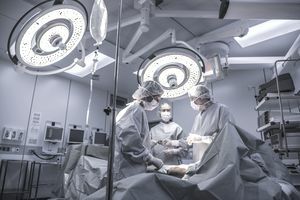 While the specific wording may vary, a medical malpractice policy typically covers damages the insured is legally obligated to pay because of a medical incident (or a similar term) for which a claim is made during the policy period. The insuring agreement usually contains terms like "medical incident" or "professional incident" that are defined in the policy Definitions section. It is important to scrutinize the meanings of these terms because they determine the scope of coverage afforded by the policy. For instance, suppose that you are a physician. You are insured under a professional liability policy that covers damages arising from a "professional incident." This term is defined as any act, error or omission committed by you in the providing or failure to provide dental services. Clearly, the policy is ill-suited to your activities as a physician because it is designed for dentists. Vicarious Liability: Some medical malpractice policies cover your vicarious liability for acts committed by other people. This coverage is essential if you employ workers or hire medical practitioners that are independent contractors. As the employer of such individuals, you may be liable for errors they make that cause injury to patients. Here are some things to look for when shopping for a medical malpractice policy. Defense and Settlement: Virtually all malpractice policies cover the cost of defending you against covered claims. Policies cover costs incurred by an attorney assigned to your case by the insurer. They do not cover costs incurred by a lawyer you hire yourself. Depending on the policy, defense costs may be included in the limit that applies to damages or covered in addition to the limit. Defense costs add up quickly so look for a policy that covers defense outside the limit. Some malpractice policies allow the insurer to settle any claim or suit as it sees fit, whether you agree with the settlement or not. Others state that they will not settle a claim without your consent. Note that consent-to-settle clauses are often subject to restrictions. Many state that if you refuse to accept a settlement that is agreeable to the plaintiff, the insurer will pay no more than the amount of the proposed settlement plus defense costs incurred up to the date of your refusal. Limits: Medical malpractice policies generally include two limits, an aggregate (annual) limit and an individual limit. Depending on the policy, the latter may apply to each claim or each event. When choosing a limit, consider your specialty and location. Malpractice claims are more prevalent in some branches of medicine (like obstetrics) than others. Similarly, some states are more litigious than others. Extended Reporting Period (Tail): Claims-made policies don't cover claims brought against you after the policy has expired. This can be a problem if your policy has been canceled, non-renewed or replaced by an occurrence policy. Fortunately, you can buy coverage for such claims by purchasing an extended reporting period (also called an ERP or tail coverage). An ERP provides extra time to report claims resulting from acts committed before the policy has expired. It does not cover claims resulting from acts committed after the policy has ended. The time period provided is typically between one and five years but may be longer. Some insurers offer unlimited tail coverage.